Those who have a poor mental state or have a diagnosed mental illness are at a higher risk of abusing substances than those who do not have a mental health issue. Those who struggle with mental illness often to do not have the capacity to make sound decisions as they relate to abusing substances which is why close to half of those who struggle with their mental health also struggle with substance abuse or addiction. Due to a chemical imbalance in the brain, those who have a mental health disorder are more susceptible to drug and alcohol abuse. When an individual has both a mental illness as well as an addiction, they have a co-occurring disorder which requires the help of dual diagnosis treatment in order to overcome. Conversely, those who abuse substances may also develop a mental health issue such as schizophrenia, anxiety, and depression with prolonged use of both legal and illicit substances. When an individual experiences these feelings, they may turn to drugs or alcohol as a coping mechanism. As they feel the effects of the substances, they may become increasingly reliant on them in order to mitigate the negative feelings that are a cause of their mental illness. When an individual seeks treatment for their disorders, they are better able to handle and cope with the symptoms and side effects of their mental illness. 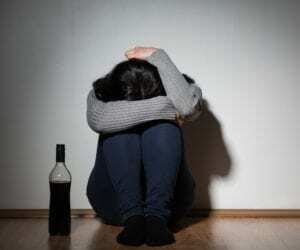 Turning to drugs and alcohol as a means of coping with negative feelings can result in dependency and addiction. This coupled with a mental disorder is extremely hazardous. Self-medicating with substances of abuse can pose a huge health risk and can cause detrimental side effects. Not only will it affect the individual, but it will also take a toll on the family and friends of the person who is abusing drugs or alcohol. Although an individual may feel as though self-medicating is helping them hope, in reality, they are making their situation exponentially worse. The long-term effects of substance abuse coupled with an underlying mental health issue are dangerous and can cause permanent damage to the brain. Dual diagnosis treatment can help treat both the underlying mental health issue as well as the addiction. Through a series of treatment modalities, individuals can overcome their struggles and move on to live fulfilling, productive, and content lives. Through working with counselors and therapists, individuals will be able to open up about their and get the proper diagnosis so that they can receive the care that is right for them. In some cases, individuals who struggle with a mental health disorder will be prescribed the appropriate medication in order to regulate their condition, resulting in a more level-headed outlook as well as increased mental clarity. ← What Does a Full Continuum of Care Mean?